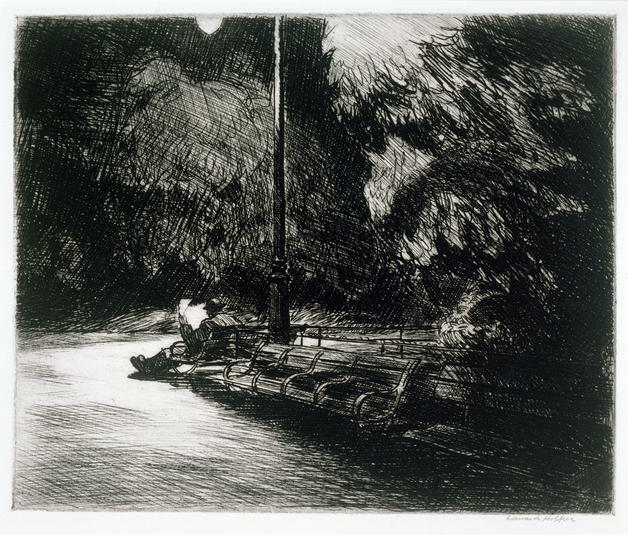 As the ‘Man of the Park’ etching by Edward Hopper reminds us, there are all kinds of artistic beauty in the space around us. Underneath are quotes and output from the artistic and photographic world that help explain the creative process and what helps to inspire them. As well as the mixture of Line(s) of the Day, Gr8at and Things to See, you can find my photography on Travel/Photography. I am sharing each of your postings that I visit on my Facebook page…it does not seem to reflect that on your settings, but I am sharing YOU with my world! You have amassed quite a variety of interesting topics! How do you find the time for all of this? Hopper ranks as a top favorite. The stories in his paintings are beautiful. Very true. I remember writing a poem after being inspired by seeing Nighthawks.